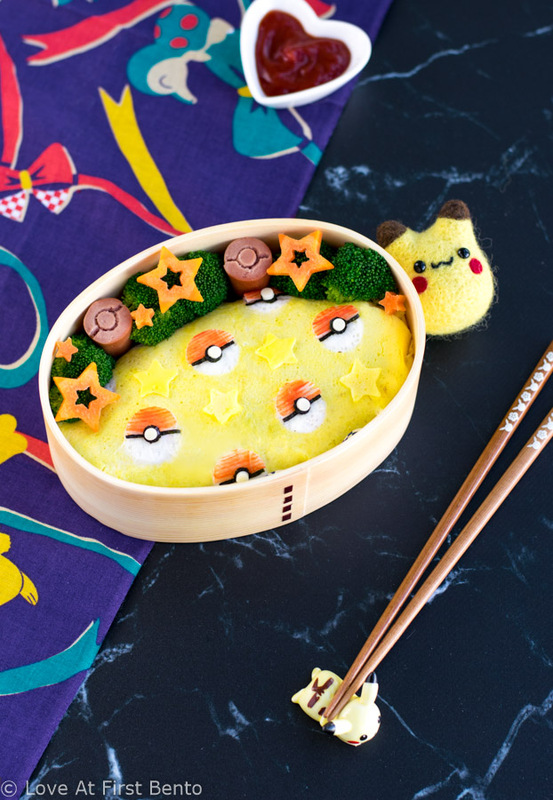 Become a Pokemon master by making this Pokeball Omelette Rice for your next bento box. Perfect for Pokemon fans of all ages! Pokemon has always been a huge part of my life, ever since it first aired in Canada on YTV in 1998. I would devotedly watch every Saturday morning, never missing an episode, and would fill the Pokemon void during the week by collecting, organizing, and trading my precious Pokemon cards, of which I had somewhere around 850 (the fact that I still remember that number goes to tell you how seriously I took my collecting). I also had a not so low-key crush on Ash. My family never lets me forget that one. 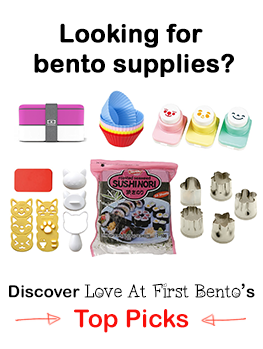 Pusheenosaurus is here to make your bento box prehistorically adorable! Fun fact: little grade 2 me wanted to be a paleontologist when she grew up. 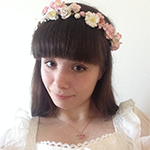 Needless to say, that goal didn’t exactly pan out – Jurassic Park kind of scared me away from the profession. 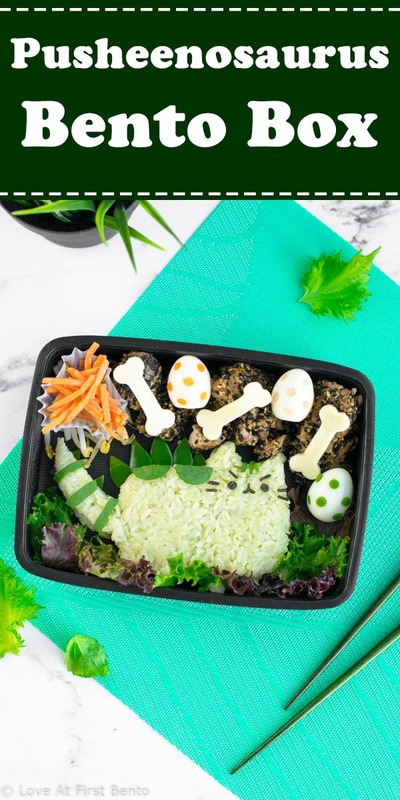 However, I think I just may have taken a step closer to my grade 2 occupational dreams with this bento box, which combines my dormant love of dinosaurs with my present day love for Pusheen the Cat. 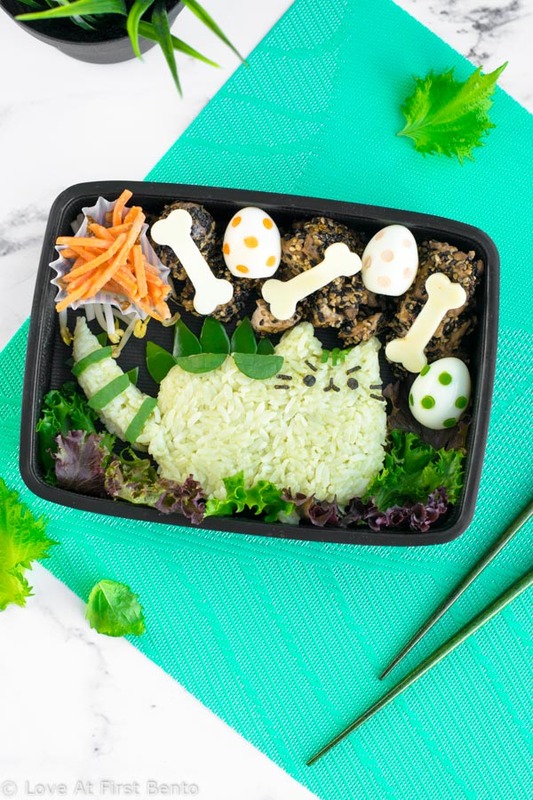 Say hello to the friendly feline herbivore “Pusheenosaurus” (AKA Dinosaur Pusheen), a rare species of dinosaur who’s ready to fill your next bento box with ridiculous, lethal levels of cuteness. 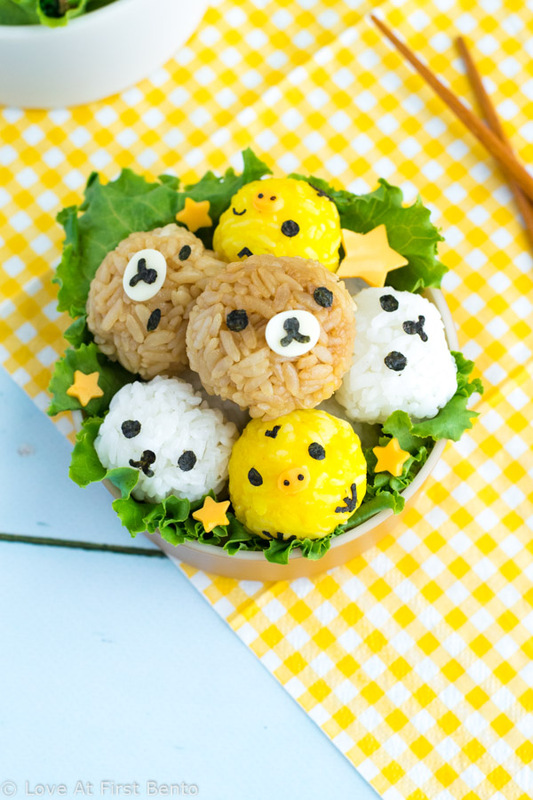 Rilakkuma Rice Balls – a must-have addition to any Rilakkuma fan’s bento box. Super easy to make, and almost too cute to eat! Let’s talk rice balls. Like, literally, rice shaped into cute little teensy balls that you can just pop into your mouth and eat in one bite. 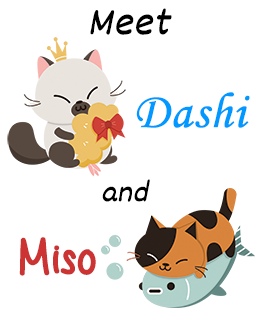 We’re going to step up our rice ball game today and multiply their cuteness times 1 million. Behold: Rilakkuma rice balls, featuring Rilakkuma, Korilakkuma, and Kiiroitori. 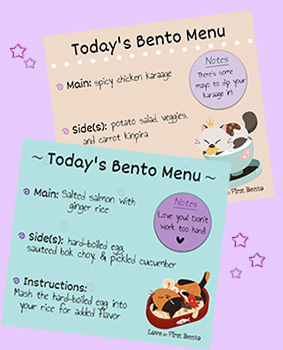 They’re deliciously adorable, easy to eat, and a fun upgrade from a boring old white rice bento. 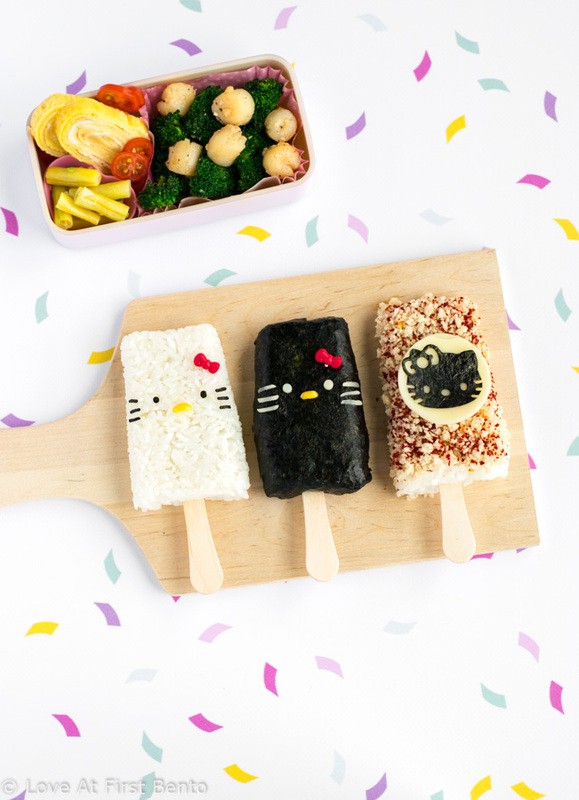 Beat the summer heat with Hello Kitty rice popsicles– easy to make, fun to eat, and the perfect addition to any summertime bento box! Popsicle season is upon us. You’ve probably heard the ice cream truck tinkling it’s irresistible melody from down the street countless times by now. Perhaps you were able to resist the esoteric lure of the ice cream truck– if so, I applaud you. I, personally, do not house the mental strength to resist the hypnotic pull, and so you will see me right in there amongst all the kids, debating over about 10 different items I’d like to inhale within 5 seconds. But what if you’re cooped up inside for lunch, unable to enjoy the saccharine deliciousness and inevitable brain freeze of frozen treats? Solution: rice popsicles.